Accepting a brain injury, living with epilepsy and learning to thrive in my own skin. What Are We Wading For? Our family was on vacation recently on the Gulf Coast of Florida. I love the beach, but I particularly love the Gulf Coast. The powder white sand is as gentle as snow flurries and the clear blue water takes my breath away. North Carolina beaches are fun for body surfing and boogie boarding, but the Gulf Coast waters just scream out “come in for a swim.” Why? Because the water is calm and clear so we can see what we are getting ourselves into. We have all said to ourselves at one time or another that if we only knew what to expect next or what the future holds, life would be easier. The age old questions of what next and when next? The Gulf Coast clear blue water invites us to dive deep with all our might. I watched people kayak out so far they were barely larger than ants to the naked eye. People swam out farther than they could stand, climbed on floats and drifted gently with the surf. Carefree; because they knew what the immediate future held. They could see it before it came. They could retreat or remain adrift. In North Carolina most people stay about waist deep in the water, if that far. We have all stepped on too many fish, been tangled in seaweed or fishing line, and had too many “who knows what in the world that was” nip at our legs in the dark pounding surf to wade out very far. The North Carolina coastal waters hold secrets. It could be the desired fish lingering near bait we have cast into the waves or it could be the stingray we have seen pictures of and never wanted to see in person. It might be the perfect safe water we want, but we only wade in knee deep just because we see a reflection of what might be or might have been. I began to see a striking parallel in life as I watched people along the Gulf Coast. The water that reaches the sand in North Carolina and the panhandle of Florida ultimately all comes from the same source, yet our approach is entirely different. In life we often timidly face our future based on our past. We’ve all been hurt at an unexpected time in an unexpected way and our defenses stay in protective mode for far too long. We’ve experienced losses of people, of jobs, of homes, of friendships or of our health and unconsciously we retreat. If our future was clear, clean and transparent, we would sprint forward and dive in, head first. The source of life is always the same. God allows our first breath and He remains the source of our breath until He doesn’t allow it anymore. Yet we want to take control. Our instinct is to insist on holding the reigns and steering into a known path. In the same beautiful vision of our toes in the water on the Gulf Coast, God sees our toes in any water, even when they sink into the polluted muddy shores of Lake Norman. Why do we find it so hard to trust His perfect eyes and the plan that has been filtered through our Creator’s hands? How many times must He refine us before we sprint in, dive in deeper than we can stand and just float on His promises? I don’t have the answer, but I want to be a person who can completely trust Him to guide me into waters he has cleaned for me, or promises He will cleanse for me. I want to be a person who knows it is better to give back the reigns that were never mine to try to grasp. I want to face life with the same confidence that we walk into the Gulf Coast water, knowing that the one who gave me my first breath will bring me through harsh currents and rip tides until I can carelessly remain adrift, floating on His promises from Romans 8:28 “to work everything for the good of those that love Him”. 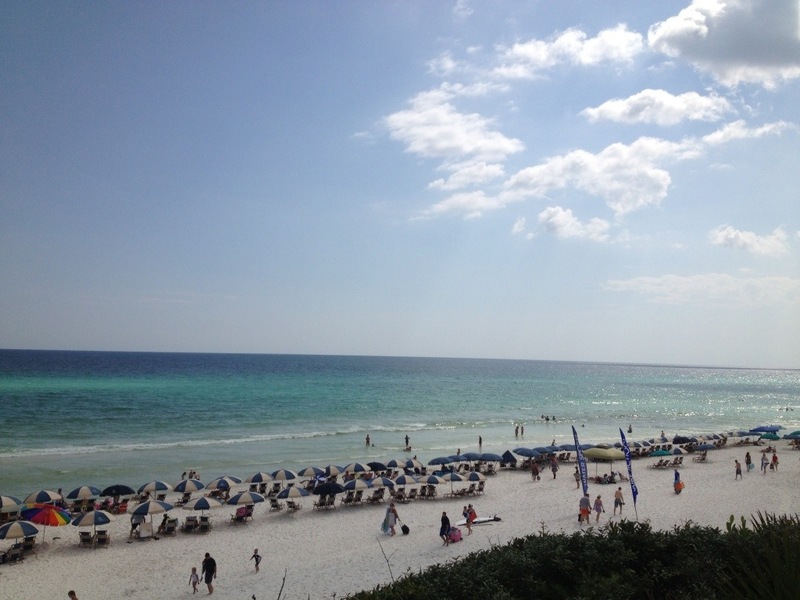 This entry was posted in Faith and tagged Faith, trusting God, vacation. What a wonderfully written insight into the heart if God for us all. Thank you for that reminder. May I please be me? Please? Copyright © Gatewood Campbell and Embracing Change, May 2011 to present. Unauthorized use and/or duplication of this material without express and written permission from this blog’s author and/or owner is strictly prohibited. Excerpts and links may be used, provided that full and clear credit is given to Gatewood Campbell and Embracing Change with appropriate and specific direction to the original content.